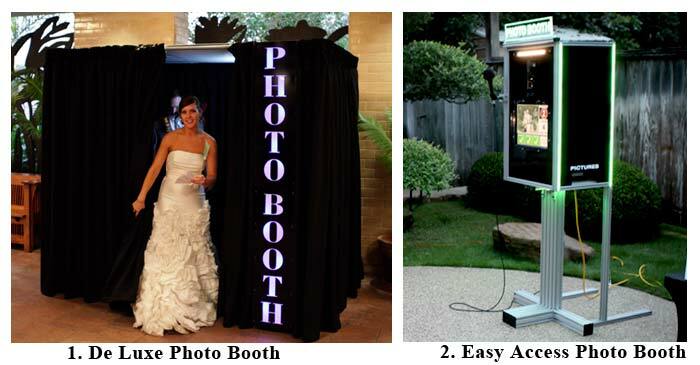 Our Photo Booth Rental Packages start at a 3 hour minimum to an "all-day" rental. and any additional photo booth rental options. Submit your Price and Availability Quote Request using the form on this page. You can always call 214.649.3844 and get your quote over the phone. Quote requests without a valid phone#, date and location (at least city, state) will not be answered. Once you have decided the date of your event and the photo booth rental options you are interested in, please use the form on this page to request Price and Availability. If we are available and you are ready to reserve our Photo Booth service simply email info@dallasphotoboothexperts.com or give us a call at 214.649.3844 and we will send you a photo booth rental agreement to sign. How far in advance should I book the Photo Booth? As soon as you have made your decision to have a photo booth at your event we recommend getting it booked. Photo booths are limited in availability and book quickly. With that being said, even if your reception is coming soon you can still call for availability. Copyright © Dallas Photo Booth Experts. Phone: 214.649.3844 www.dallasphotoboothexperts.com, www.photoboothexperts.com. All Rights Reserved.